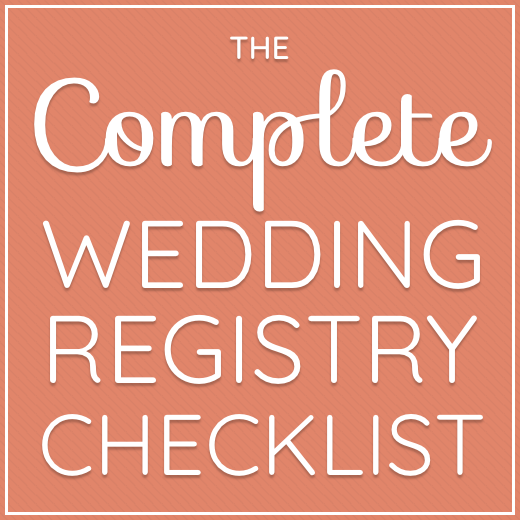 When it comes to creating your wedding registry, there are so many options. It seems like almost every store offers a wedding registry and brides and grooms can quickly become overwhelmed with choices and decisions to be made. Shopping at Target seems like such a weekly activity that you might consider skipping it when it comes to your wedding registry. But, there’s a reason why Target is so popular and why you should consider it when adding gift options to your registry too. It all comes down to your guests! We’ve seen lots of weddings and registries to know there’s a method to all of this and when you take as step back, you’ll understand why Target remains one of the stores couples continue to include in their wedding registry lineup. Making it easy for guests to find and purchase your wedding gifts should be one of the things you consider when creating your wedding registry. Target is a store people love. Both old and young. Big city, small town…doesn’t matter, Target has it down. People enjoy shopping there and feel comfortable giving you a gift from such a well known store. Remember, at the end of the day, your great aunt may not feel comfortable buying you a gift online, but she is probably very familiar with Target. She wants to buy you a gift you’ll love and there is no shame in loving Target. Guests that are uncomfortable with online shopping will look for stores where they can physically pick up and touch the gift they are giving. That’s why, even though you and your mate might purchase everything online, you should include at least one easily accessible brick and mortar store in your list of wedding registry gift options. Target fits that bill. If you don’t have a Target REDcard yet, you should! First, you save 5% on EVERY purchase made at Target – even 3rd party store gift cards!! Did you know this also includes in-store Starbucks locations?!? You’ll probably be needing a few caffeine fixes during all of this wedding planning. But what about your guests? If they have a REDcard, they save 5% on purchases too. They also receive free shipping if the buy the product online and have it shipped to you. The Target REDcard offers an additional 30 days (over Target’s generous 90-day return policy) to take purchases back. Sign up for a Target REDcard here. Target is the perfect store to get your everyday essentials. From small kitchen gadgets and cooking supplies to bath towels and home decor, they’ve got you covered. And as you start your new lives together there will be plenty of the everyday items you will need to purchase again. We’re looking at you wooden spoons! Target is a great staple store that is easy to shop at, has wonderful customer service, and has the items most modern day couples need. With so much going for it, you can see why adding gifts from Target to your wedding registry is a good idea. It’s easy to add items from Target to your Birdbell registry. Still need a Birdbell account? No worries! You can sign up for a Birdbell wedding registry here.